Dry out water-damaged hardwood flooring safely and effectively. The Rescue Mat System uses the power of a high-pressure blower like the DriForce (purchased separately) to draw moisture right through the surface of the floor. 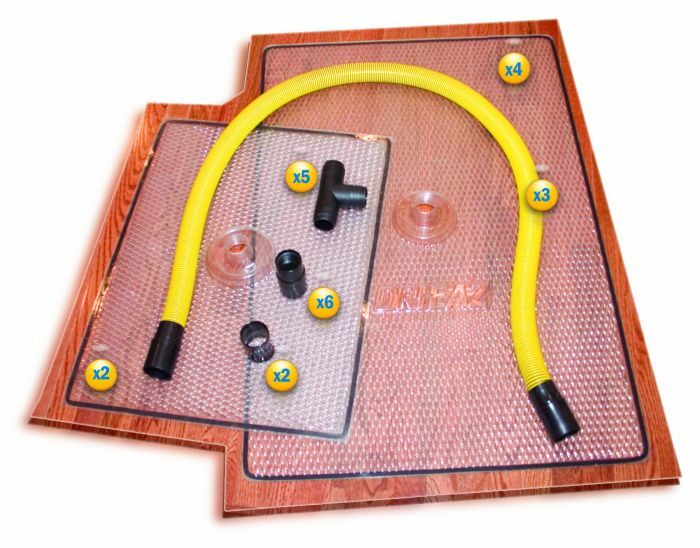 Two mat sizes make it easy to custom fit to any floor layout. Add this valuable drying capability to your restoration business and help your customers avoid costly wood floor replacement. Remove moist air – team up with the DriForce blower. Extract liquid water – connect with the HVE3000 Flood Extractor or a truckmount extractor such as the Big Gulp 4500.